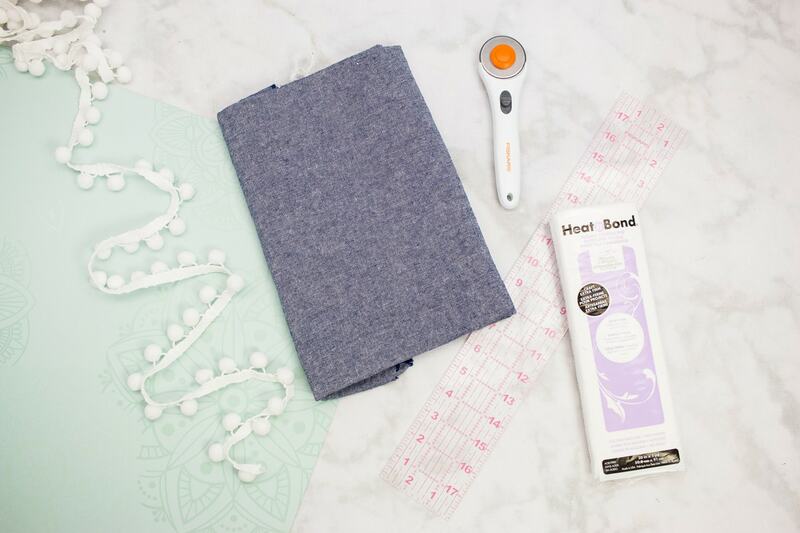 Kim from Sweet Red Poppy is back with us again today sharing another simple sewing project. 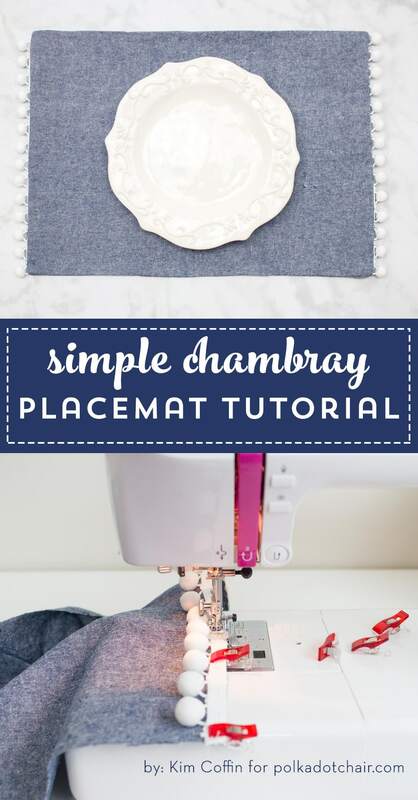 This tutorial for Chambray Placemats is so cute and would look so good in a farmhouse style kitchen. 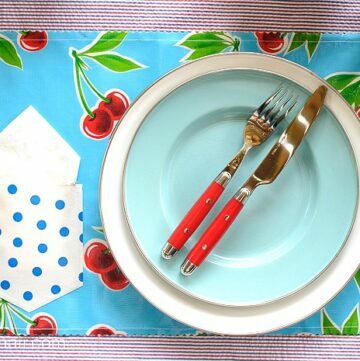 Keep reading to find out how to make these adorable placemats! 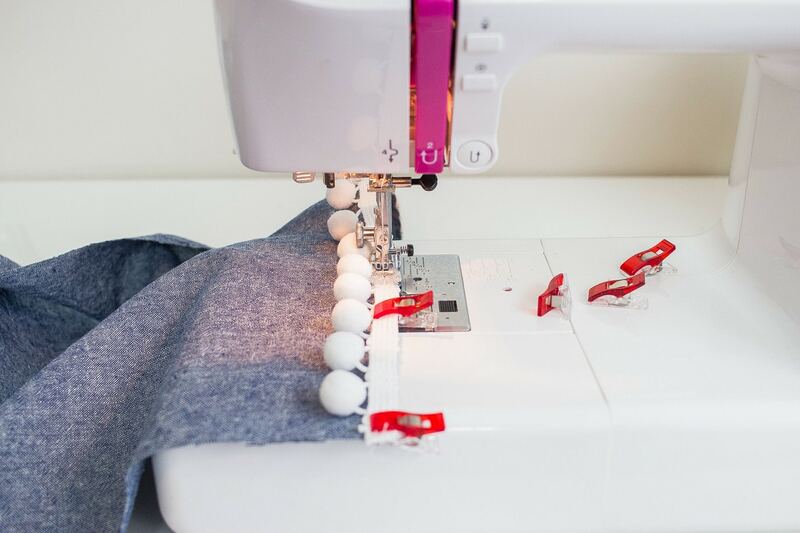 Hi It’s Kimberly from Sweet Red Poppy and I have another sewing tutorial to share with you today! 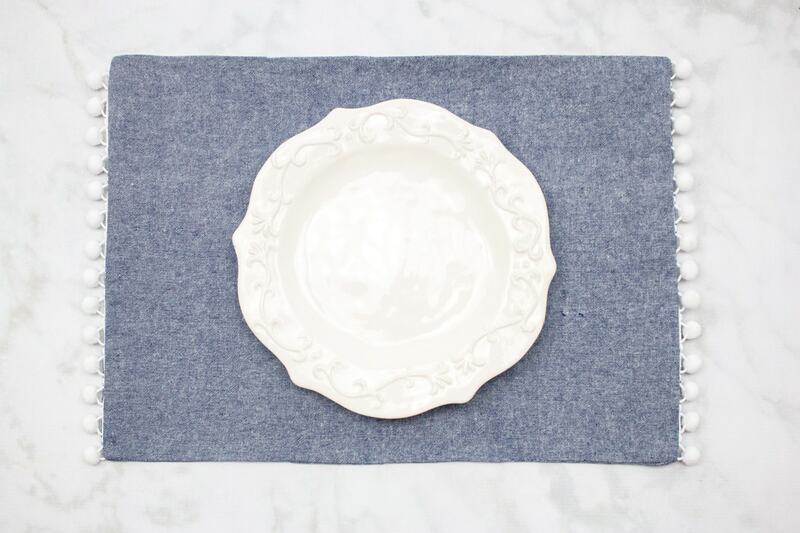 I love a quick and satisfying sewing project and this placemat tutorial is just that! 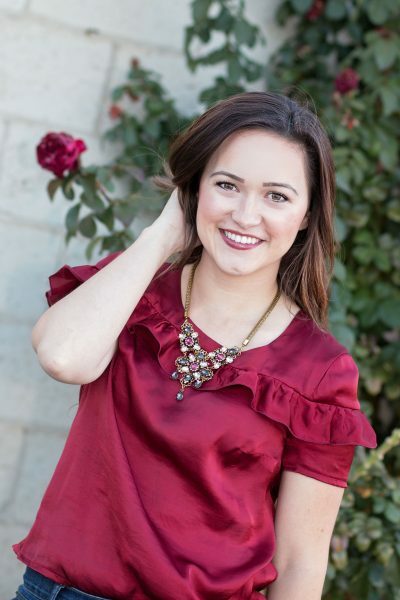 It’s incredibly simple but it makes such a fun statement with the pom pom trim! 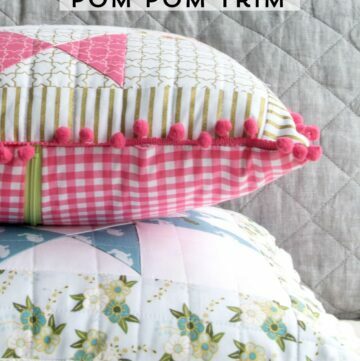 Use a printed woven fabric and a bright pom pom trim to add a bit of color to your table! 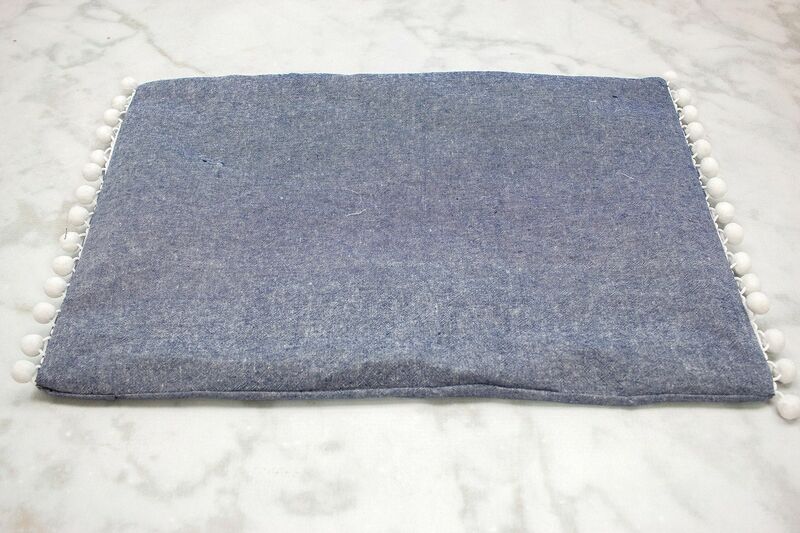 Cut two rectangular pieces of fabric and one piece of fusible interfacing 15 x 21 inches. 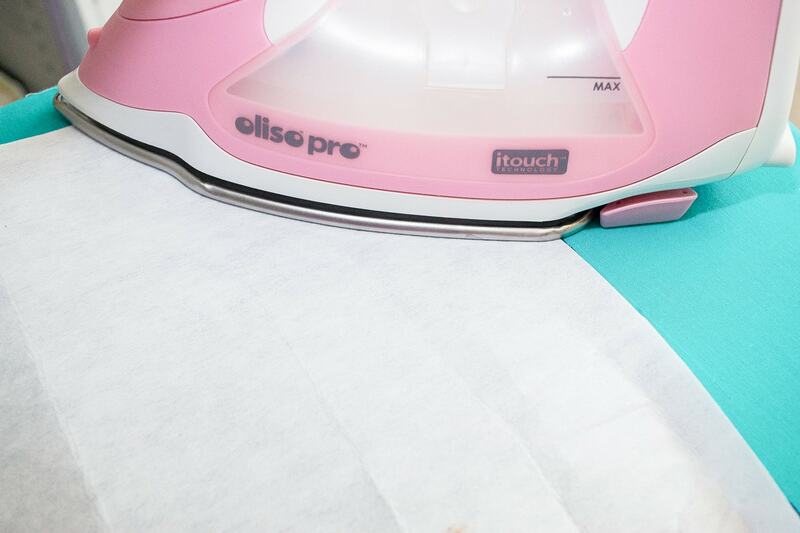 With a hot iron adhere the shiny side of the fusible interfacing to the wrong side of the fabric. 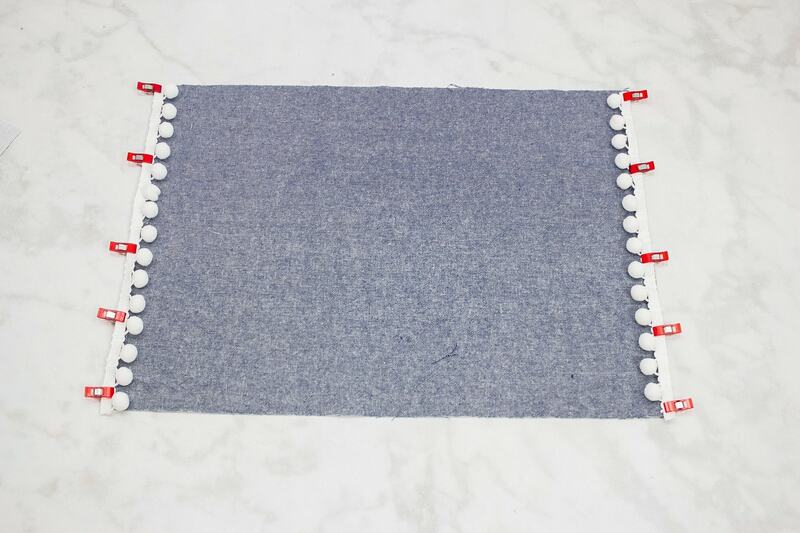 Place the pom pom trim along the short edges of the placemat with the pom poms facing inwards. 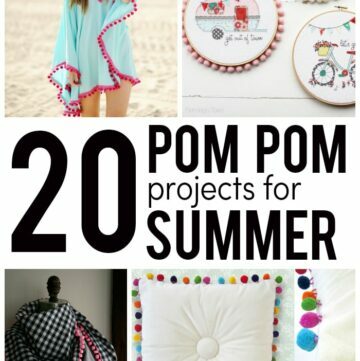 Clip or pin the pom poms to the fabric and sew them in place using a basting stitch. 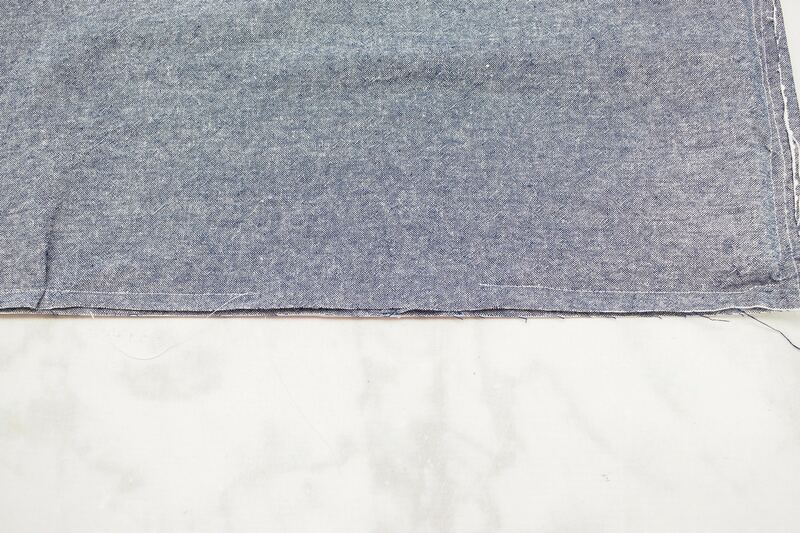 Place the right sides of the placemat together aligning all raw edges. 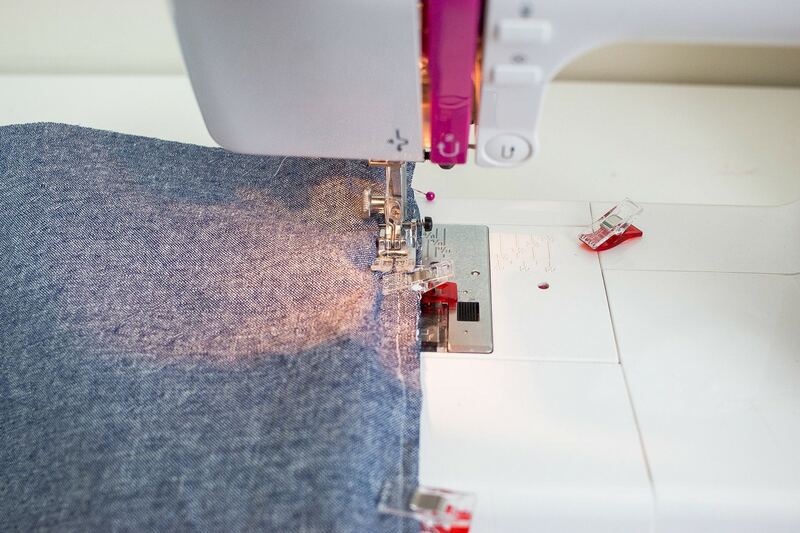 Pin or clip the fabric together along the perimeter. 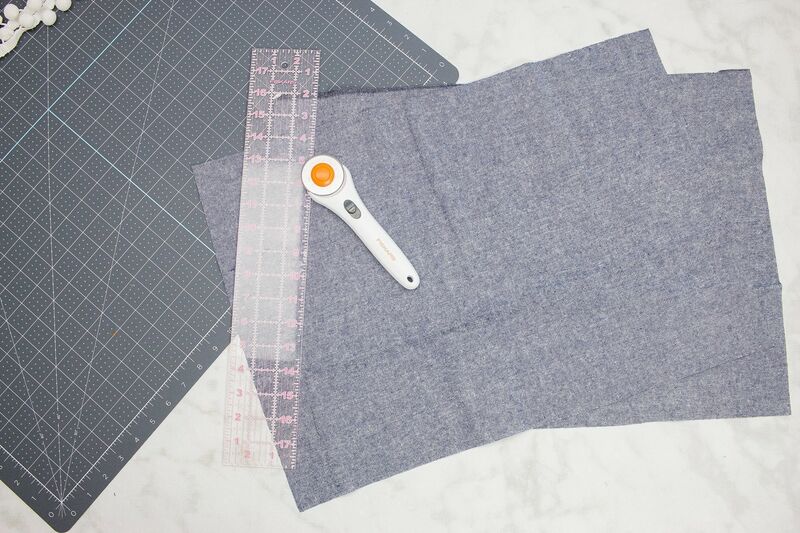 Sew along all four sides of the placemat with a 1/2 inch seam allowance leaving a 4-5 inch opening along the bottom of the placemat for turning. 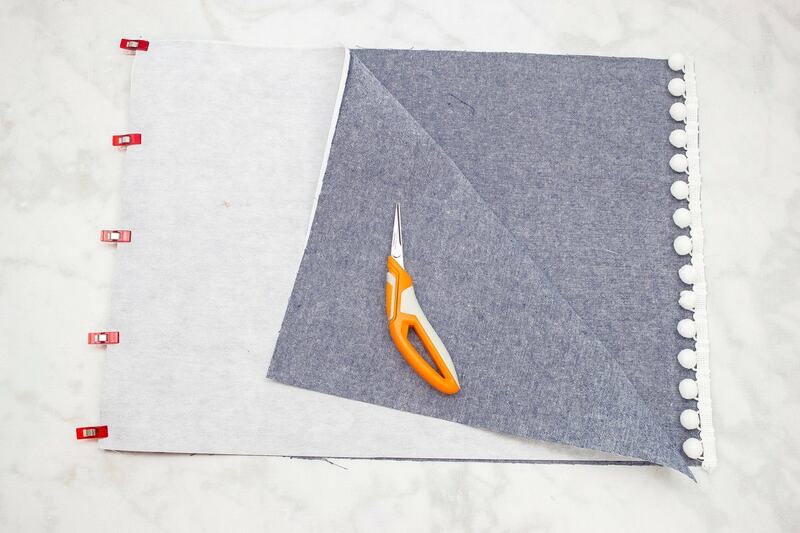 Clip the corners and trim down the seam allowance of the placemat to reduce any unnecessary bulk. 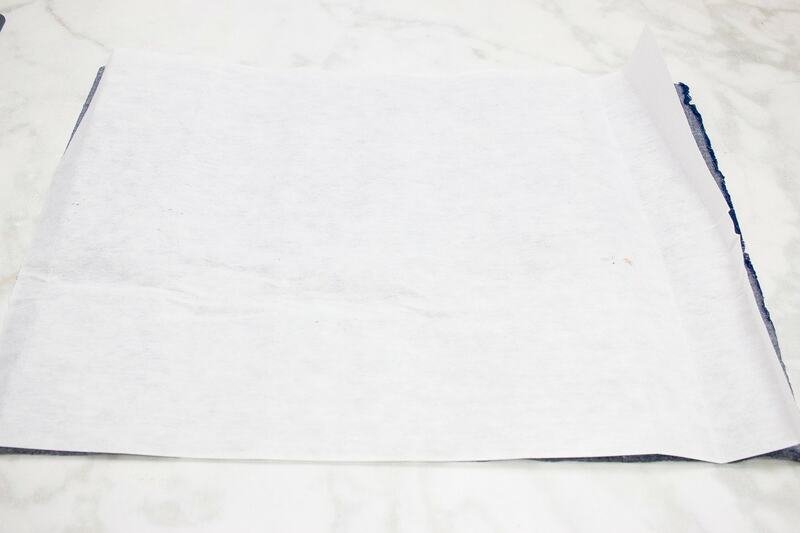 Turn the placemat inside out and press the seams with a hot iron and plenty of steam. Hand stitch the small opening closed. Wasn’t that simple? 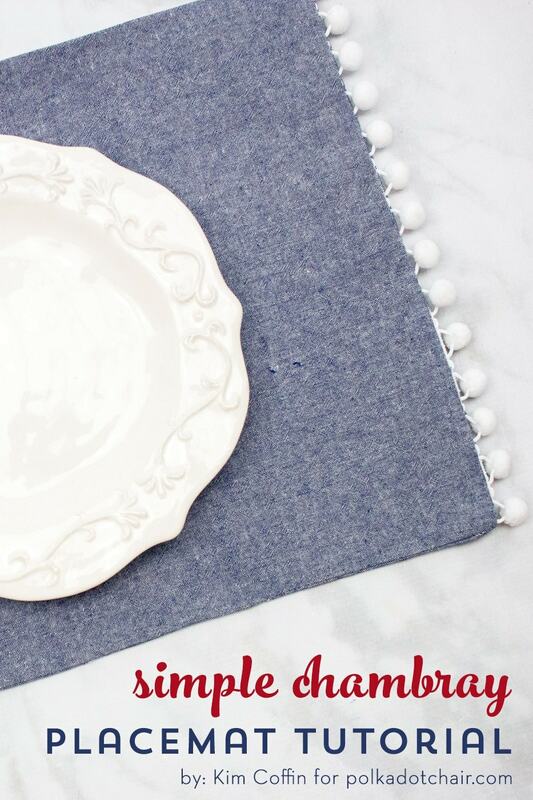 I’ve made a bunch of these placemats for my table and I love how easy they are to whip up for each different season! 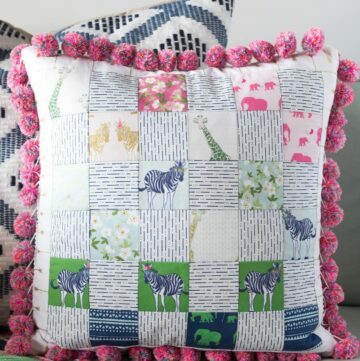 If you enjoyed this tutorial be sure to check out some of my other sewing tutorials!